يشكل YHA Wanaka Purple Cow بموقعه الممتاز في واناكا نقطة انطلاق جيدة لاستكشاف هذه المدينة النابضة بالحياة. يمكن من هنا للضيوف الاستمتاع بسهولة الوصول إلى كل ما تقدمه هذه المدينة النابضة بالحياة. يشكل هذا الفندق ملاذاَ مريحاً للاسترخاء ويمنح زواره فرصة للاستجمام والتجدد، وهو يقع على بعد خطوات من المعالم السياحية الكثيرة للمدينة كمثل: The Artist's Corner, The Picture Lounge, ‪Beacon Point Walk‬. إن الخدمات الممتازة وحسن الضيافة العالي في YHA Wanaka Purple Cow تجعل إقامتك تجربة لا تنسى. تتضمن الميزات الرئيسية في هذا الفندق: واي فاي مجاني في جميع الغرف, أمن على مدار 24 ساعة, خدمة التنظيف يوميًا, مدفأة, خدمة حجز التذاكر. في الفندق غرف نوم يتجاوز عددها 29، كلها مجهزة بعناية وجمال وبعضها مزود بـ تلفزيون بشاشة مسطحة, اتصال لاسلكي بالإنترنت, غرف لغير المدخنين, تدفئة, مكتب. كما أن مجموعة الخدمات الواسعة الموجودة في الفندق لضمان راحتك تترك لك الكثير من الخيارات لقضاء وقتك أثناء فترة إقامتك. إن YHA Wanaka Purple Cow هو مكان مثالي للمسافرين الذين يتطلعون إلى الراحة والاستجمام في واناكا. Good option for Wanaka. The night clerk was the worst tho. He was telling some guys about things to do, and I was standing there trying to check in for about fifteen minutes. I finally had to interrupt and insist he check me in, so that I could get food before everything closed. 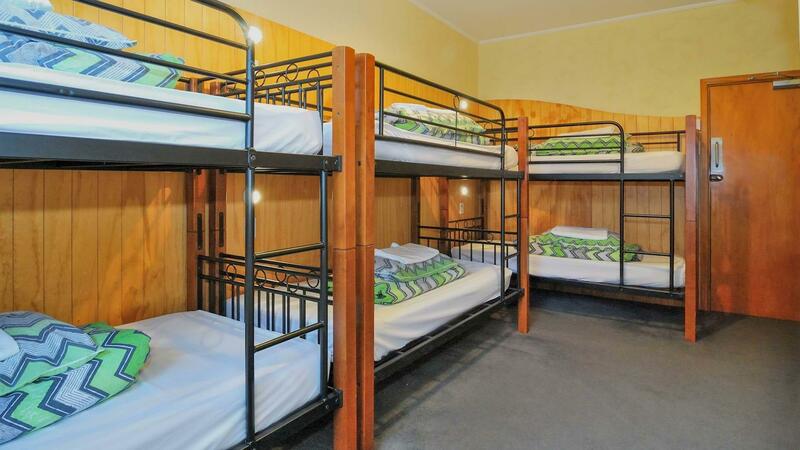 The location of the hostel is within walking distant to the city area and the lake. The dining area and lounge give you best view of the lake. The room, kitchen and toilet are spacious and clean. The floor is not very friendly to people bringing luggage. I had an awesome time there! I stayed in a private room for 2 nights and had a small “house” to myself, which was very nice and quiet and had a great heater. The location is perfect, in walking distance to everything. Great experience! At the very central location. The lake and the mountain is just at the door. The new world supermarket is a minute walk away. Staffs are friendly and very helpful. Tidy and clean. Gonna choose here again if re-visit wanaka next time. Clean and spacious. My room looked like it was newly renovated. 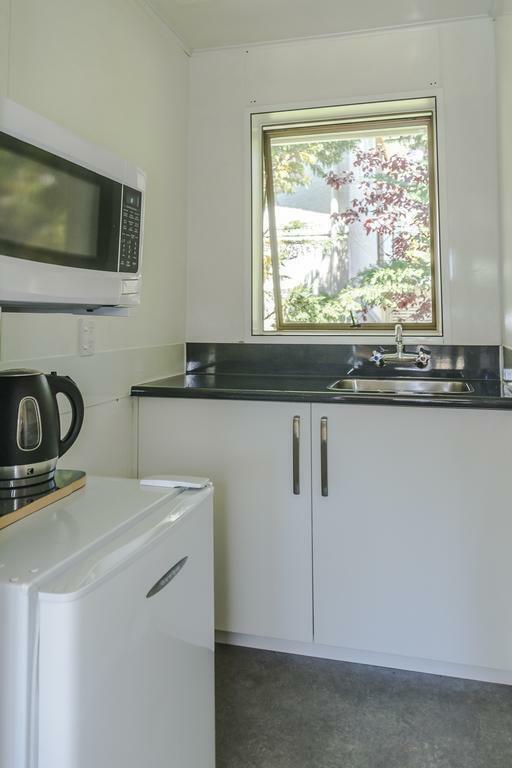 The room also included a little kitchenette with sink, microwave and toaster and it’s own bathroom and shower! It was an awesome stay. The WiFi was a bit spotty in the room but there was better reception in the main lounge. 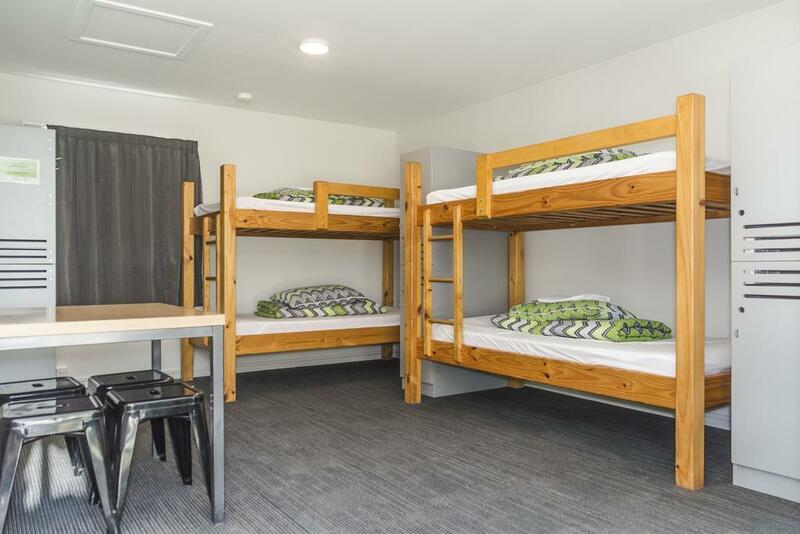 The only gripe I have with this hostel (and NZ YHAs in general) is the weak internet connection in the rooms. Other than that, I can't really find any fault with this hostel. The private room with ensuite bathroom and beautiful lake views outside the window was really good value for money. Everything is within walking distance and the staff are friendly and helpful. 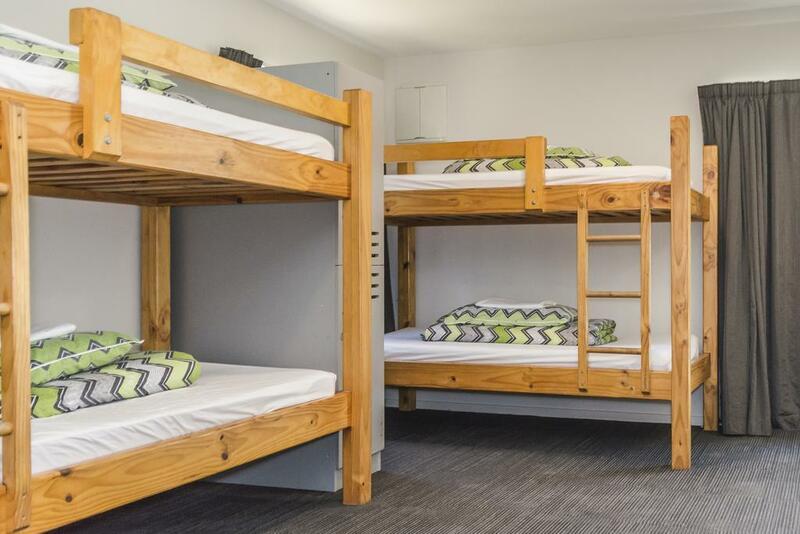 The best hostel in NZ I've stayed in so far. We got the shared twin bed room. It was a separate building with an entrance into a room comprised of living room , bathroom an d kitchen ( fridge , micro sink) our room had two single beds , we could lock our bedroom door .we shared with another couple who had their own bedroom. Great location! Awesome staffs. Place was good and comfortable. Recommended. Value for money, lively and good location. The place is constantly lively with a spacious common area equipped with a fireplace and pool table. The double ensuite room is slightly too dim for our liking. 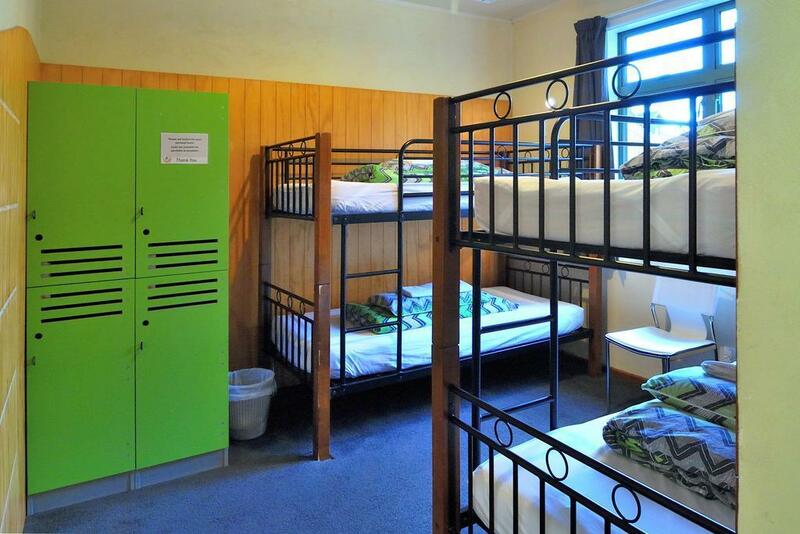 The place is more like a hostel with good sharing facilities. 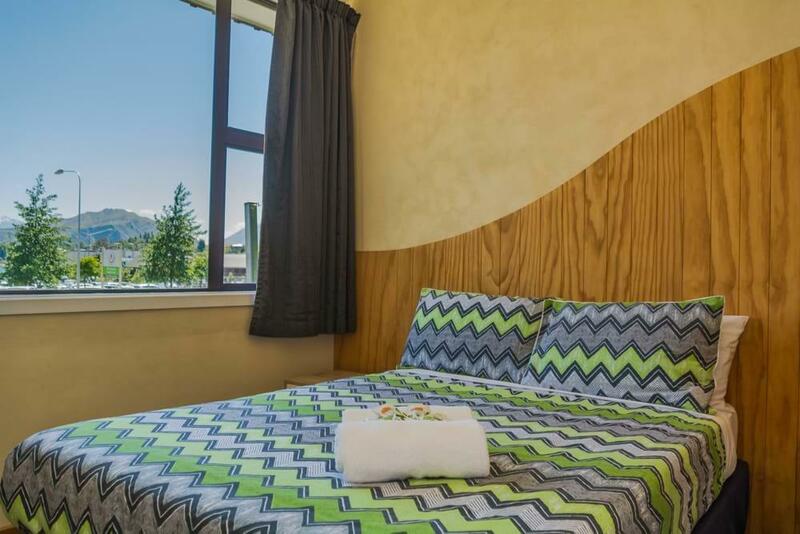 It is just a few minutes walk from the town centre and Lake Wanaka. As far as budget goes, this place offers comfortable sleeping accommodation at a value-for-money price. Great location, by New World supermarket and 3 mins walk across lawn to lakefront and centre. Very clean, big kitchen. Excellent views to lake from lounge./dining area. 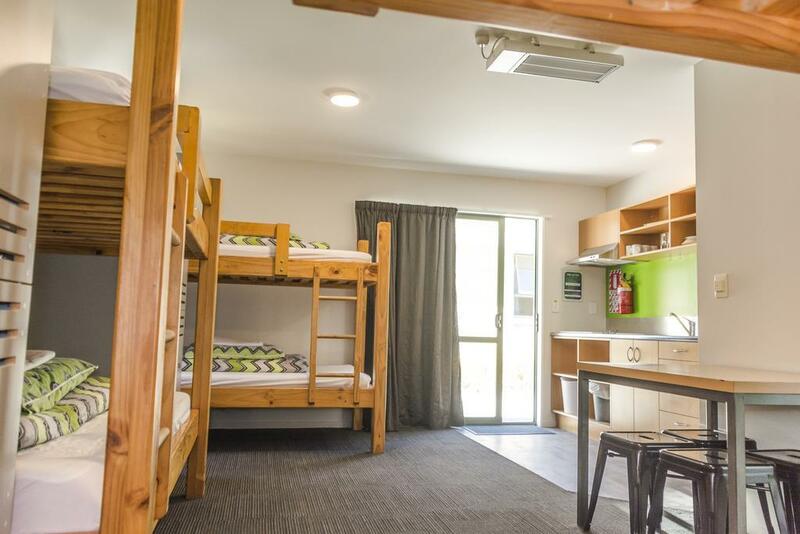 Try to get a dorm in one of the cabins out back which also contain spotless kitchenettes. Highly recommend this hostel. Wonderful Kitchen. Clean, excellent location. 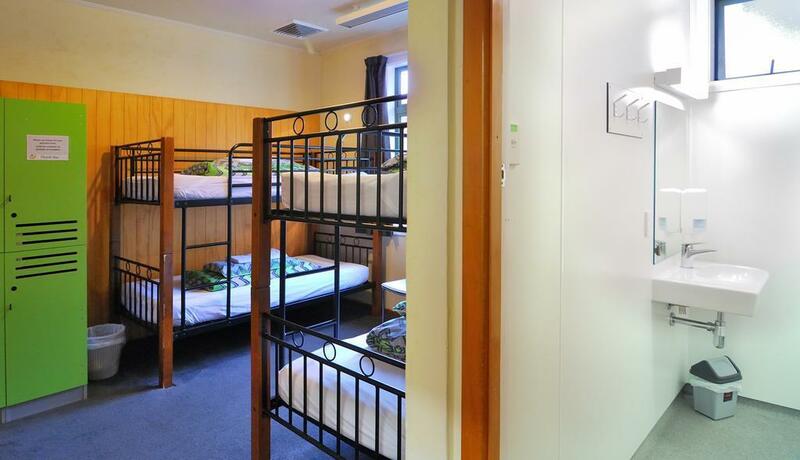 Huge lockers and the 4-person mixed dorm had plenty of floor space for luggage and a spacious bathroom. Location is very good. Walking distance to supermarket. Travelling during winter, the room was very cool but the staff provide additional heater to make us warm. The water is unstable during shower.